Businesses everywhere desire to locate and hire qualified, experienced individuals. Unfortunately, the process of finding and hiring such candidates can appear staggering at times. That is why a large number of businesses are choosing to take advantage of the services offered by executive search firms. What these firms do is assist businesses in finding and recruiting professionals that are the best possible fit for the jobs available. Partnering with executive search firms provides companies with many advantages. In this review, we will share why so many businesses are taking advantage of recruiters. 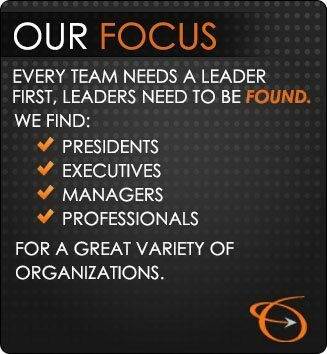 #1 – Executive search firms customize their approach based on companies’ needs. One thing that makes using a recruiting firm so helpful is the fact that they customize their approach based on your company’s specific needs. Every company is different; therefore, the recruiting process is not going to look exactly the same for every company. Executive search firms can even offer advice and insight as to what type of candidates will most likely be the best fit for your business. They understand the importance of finding individuals who will bring the right experience and skill set to the table. #2 – Hiring professional recruiters saves a fast-growing company time and energy. Not only do professional recruiters offer a customized strategy, but they can also save your company precious time and resources. It takes a lot of work to search across the country for the right job candidates. Not to mention, the process of both finding and recruiting professionals can be very time consuming. Therefore, trying to find and recruit individuals on your own might take a lot of time, resulting in possible delays within your company. Professional recruiters help you fill job openings in a timely manner. #3 – Recruiting services deliver great results. The third reason executive search firms are so beneficial is because they deliver great results. They really are skilled at finding competent, qualified individuals to fill job openings at growing organizations. People who recruit professionally simply know a lot about what qualities to seek out in applicants. Among others, they prioritize qualities such as leadership, competence, and passion. #4 – Recruiters draw from a large pool of applicants. Part of what makes executive search firms so successful is the fact that they typically have a large pool of applicants to choose from. They connect with organizations all over the nation. Additionally, individuals who are looking for jobs also pursue executive search firms. For this reason, recruiters are generally connected to a vast network of both businesses and individuals. If a company tried to locate professionals on their own, they probably would not have as large of a pool of individuals to select from. #5 – A business can benefit from developing a long-lasting partnership with a firm. Not only is it beneficial for a business to use a recruiting firm one time, but it is even more beneficial for that business to develop a long-lasting partnership with the firm. That way, whenever there are positions that need to be filled within the business, the recruiter is already familiar with the business’s specific needs and vision. This will allow the position to be filled quickly and proficiently. Keep these advantages in mind if you are thinking about partnering with a professional recruiting firm. The Lawler Group has partnered with growth-oriented companies across the nation to locate and recruit competent, experienced job candidates for over 40 years. We recruit executive, management, and professional candidates all over the country. We can also help individuals find jobs that match their skill set and experience.